Chuck Sawyer has created a board game that the whole family can enjoy. Here is the transcript from the On the Record interview with Greta Van Susteren. 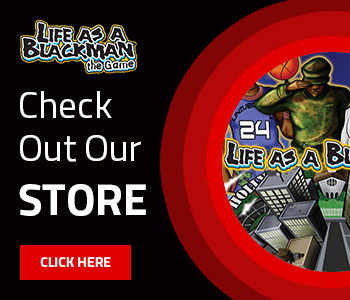 GRETA VAN SUSTEREN, HOST: Would you want your family playing a board game called Life as a Blackman? Here are the rules. You assume the role of an 18- year-old African-American male. The goal is to get out of the ghetto, whether it be by a life of crime or some other means. Joining us from Los Angeles is the game’s creator, Chuck Sawyer. Chuck, nice to see you. CHUCK SAWYER, LIFE AS A BLACKMAN CREATOR: Nice to be here, Greta. And thanks for having me. VAN SUSTEREN: OK, Chuck, explain this game to me. SAWYER: OK. Well, Life as a Blackman is a board game, and as you said, it’s a game in which all the players are portraying the role of an 18-year-old black male just entering society, and the object of the game is to be the first player to get to freedom. Players not only start in the ghetto, but players would first roll the die to determine your character type, which would be your special talent. You would either be creative, intellectual or athletic, then you’d roll the die again to determine exactly where you’re going to begin the game. So by the luck of the die, if you roll a 1 or 2, you’d have to start in the ghetto. If you roll a 3, you would start in the military. Four or five is black university, and 6 is “Glamorwood.” From that point, the players would traverse the board and work their way up to try to be the first player to get to freedom. VAN SUSTEREN: Let me just stop you for a second. VAN SUSTEREN: Do any players come from a privileged background at all? SAWYER: Well, we start all the players off with zero money. This isn’t like any Monopoly or any board games like that, where we give you money in the beginning of the game. In Life as a Blackman, life is what you make it, so you start with zero and work your way up from there. VAN SUSTEREN: How come there’s no Life as a Black Woman? Why are you ignoring black women in this game? VAN SUSTEREN: I still haven’t gotten my answer about why there aren’t women in there, but I’ll pass for a second on that. We may come back to it. But how do you portray racism in this game? SAWYER: Well, racism is what it is, truly. You could land on a racism space, and it could say, “Your co-worker repeatedly tells you racist jokes, move back two spaces.” Or you could pull a racism card that says “You win a discrimination lawsuit. Collect $10,000.” So I don’t put any good or bad on each particular category, but I kind of sprinkle the reality in each category. And as far as with not having black women in the game, personally, from my personal view, I see the black man as being the low man on the totem pole in American society today. Even the black woman has been elevated above the black man. So when I incorporate Life as a Blackman, I want to break that stereotype that America has for the word black man. SAWYER: So truly, the game should truly be black life. VAN SUSTEREN: All right, well, I’ll just challenge you on that a little bit, Chuck. I can’t tell you how many African-American women who are single mothers and the men have taken off — they got a rough — some of them have a rough time, as much as the men. SAWYER: Oh, absolutely. Absolutely. And I’m not discrediting that, and I’m not excluding the black women. I’m actually including the black women under the umbrella of Life as a Blackman. I’m not really putting gender, where you are a man and the situations are exclusive to being a man. The situations are truly exclusive to being a human being in America. And whether you’re Middle Eastern, Asian or what-have-you, you could still face the exact same discrimination that you would face in life as a black man. VAN SUSTEREN: All right, what do you get if you win? SAWYER: Well, the first player to get to freedom wins the game, and you don’t have to deal with the obstacles that were on the board. So that’s what you really win. You win not having to go through what the other players are still going through. VAN SUSTEREN: Is this game out in stores? SAWYER: We’re in the mom and pop stores. Right now, we’re looking for distribution where we can distribute the game nationally and be in the major chain retail stores. But being a black man, once again, it’s a struggle. 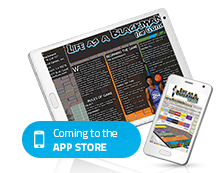 So you know, any opportunity we can get to let people know that this is a positive game, this is a game that was designed to uplift our people and all people, and bring people together by heightening everyone’s awareness. A perfect example of that is say that you just happen to be joking with your co-workers, and you might just, you know, not really care about the kind of connotations or emotions or feelings that they may have about what you’re saying, but the game actually demonstrates the consequences for our actions. VAN SUSTEREN: All right, Chuck. I have one last question for you before I let you go. Is this your idea, this whole game? SAWYER: This is all my brainchild. VAN SUSTEREN: All right. Well, congratulations on your new game, Chuck Sawyer. SAWYER: Thanks so much. Appreciate you for having me, Greta. Copyright © 2019 Underground Games, Inc. All Rights Reserved.